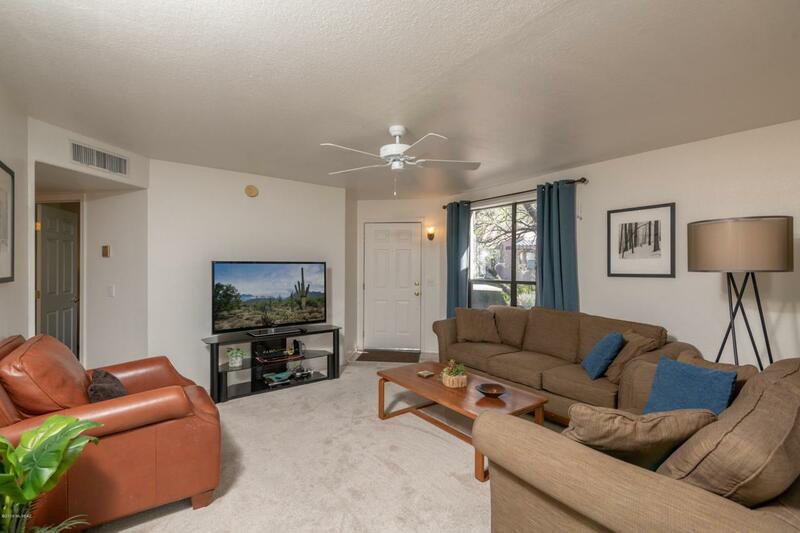 Completely remodeled 2nd floor condo being sold completely turnkey with Catalina Mountain views in the resort style community of Canyon View At Ventana Canyon. 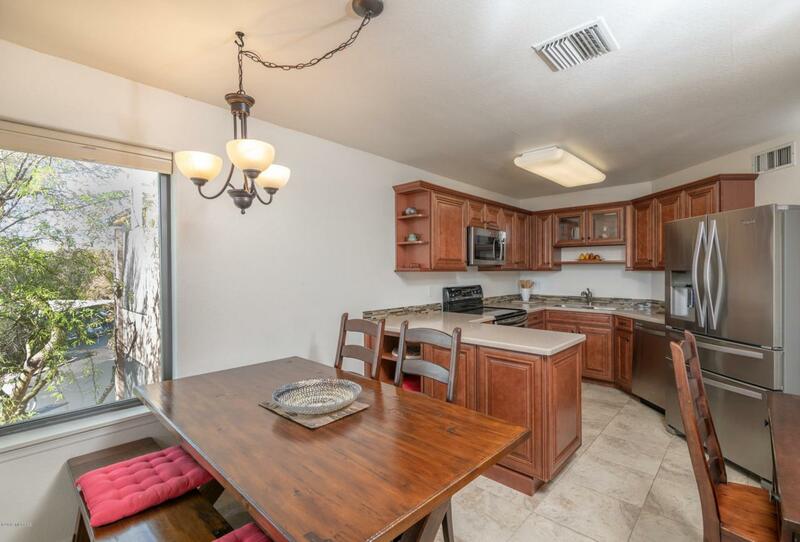 This private Northern Tucson property features a new HVAC system installed in 2018, kitchen remodeled in 2016 featuring stainless steel appliances, self closing cabinets, Corian countertops, split bedroom floor plan, romantic wood burning fireplace, both bathrooms renovated in 2016 with new cabinets and Corian counters, master shower redone, covered patio with mountain views, master bedroom window & dining area window were upgraded to dual pane in 2017 and all designer quality furniture shall convey with the sale for no additional money. 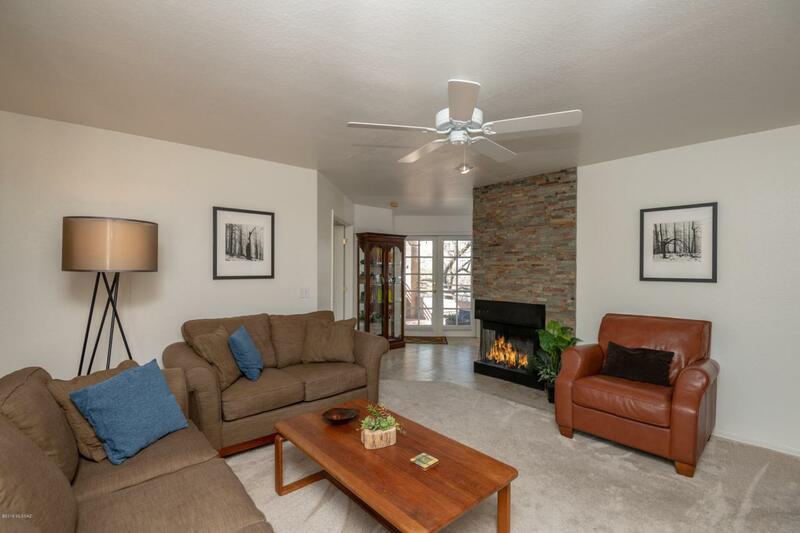 The Canyon View Condos feature 2 heated pools & spas, tennis, gym, clubhouse and trail access.